Something very exciting arrived here at CycleChick headquarters this week. And no, it wasn’t a case of high quality bourbon delivered by a shirtless Channing Tatum. I’m still waiting for that one. 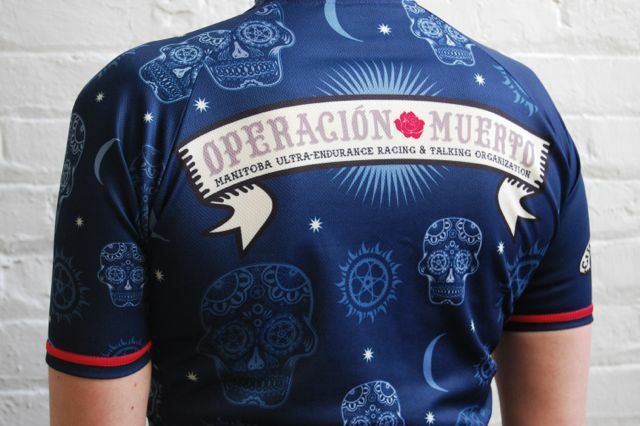 It was, in fact, the Operacion Muerto jersey I designed this winter. It looks pretty sweet, if I do say so myself. 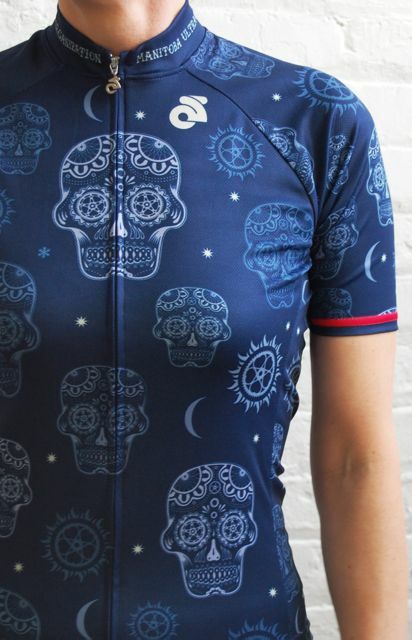 Midnight blue, and starry like the clear, peaceful night sky one might see halfway through an ultra-endurance event – right before falling asleep and riding into a ditch. Thanks again to Hal and Chris coming up with this cool idea. 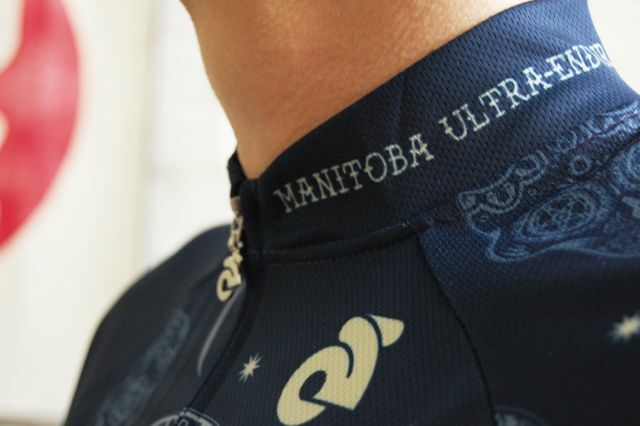 And chapeau to all the hard men and women who will slather this jersey with their sweat, snot and vomit as they push themselves to the limit. It was an honour to clothe you. Thanks also to Sharri Z. who I forced to take these pictures – as well as the super smart, funny and attractive model, whoever she may be. If you want one of these fine frocks, well, too bad – you had your chance and missed the boat. However, it will likely sail again, so watch for announcements on the official Operacion Muerto website, here. Looks Awesome!!! I got mine from Hal on Saturday! Can’t wait to drench it in sweat! Thanks Andrea! This is a must have and i did miss the boat. Please give me another chance to hope on board! This is the greatest jersey ever. I missed the boat, but thankfully Hal is doing another order. I can’t wait! I got mine.. Thanks all, and great work BTW! I hope I can do it proud in the NUE. Probably too late to the party, but dropped Hal a line. Best looking jersey ever! I will be the lone representative for Operacion Muerto in the Hawaiian Islands. We shall see if people get how nice this design is. You should design kits for companies and teams. 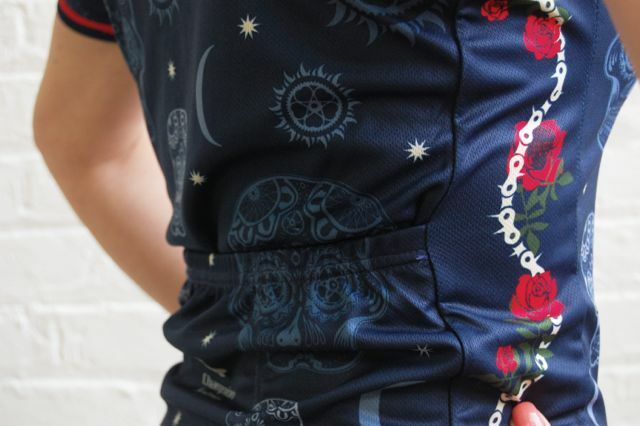 There is a massive need for beautiful design in cycling kits. Agreed, there are some nasties out there. 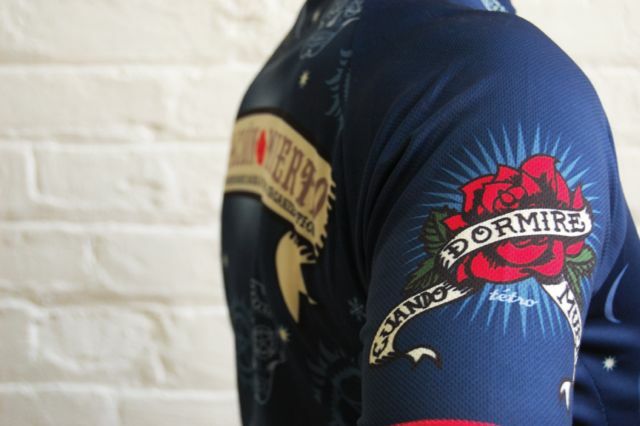 The new Velominati kit, however, is not one of them. So hot. If I could get paid for this stuff, I would be a pretty happy lady. I’ve often daydreamed about starting a line of my own, including a women’s commuting line since Levis and Giro don’t seem to think women ride bikes. Losers. Hal has confirmed my order! Portland represents. Sweet! I’m happy to hear that and demand to see pictures of you wearing it while doing something awesome. That is TOO awesome! Love it. Thanks Holli! It was a really fun project!